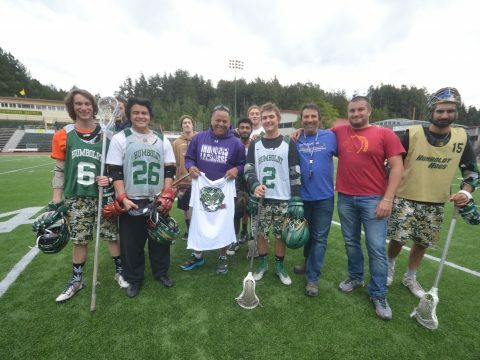 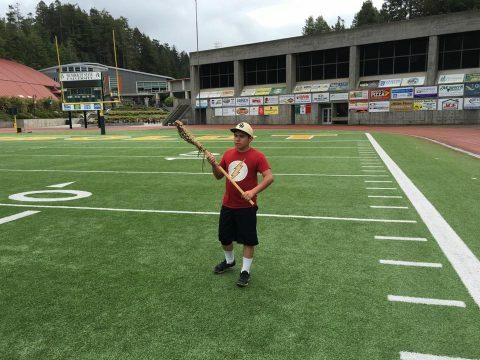 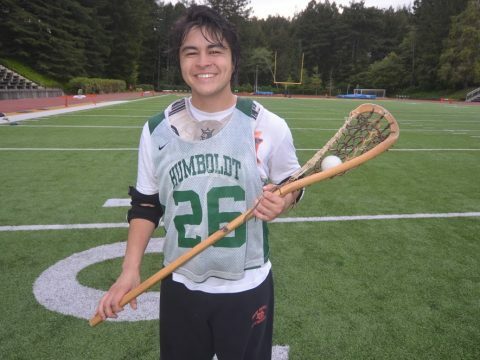 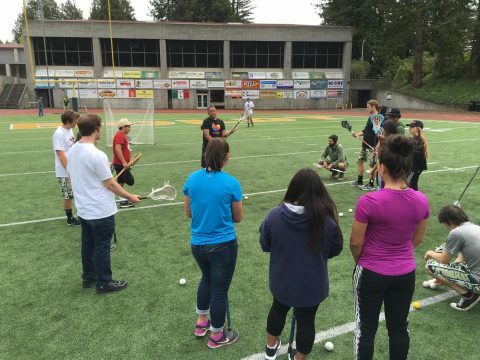 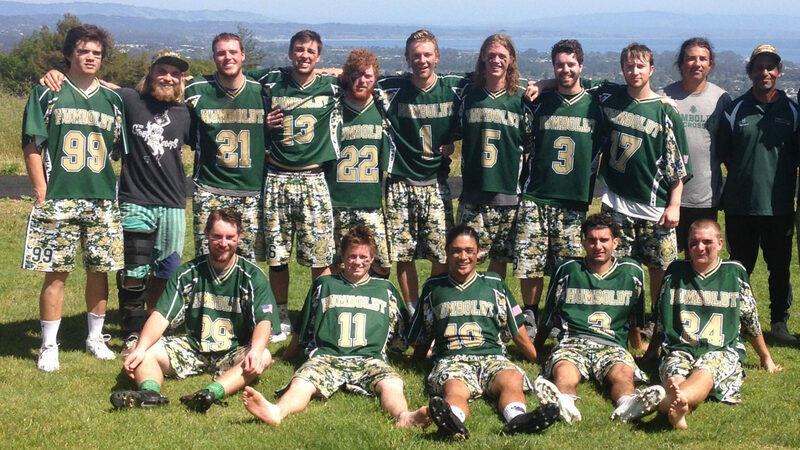 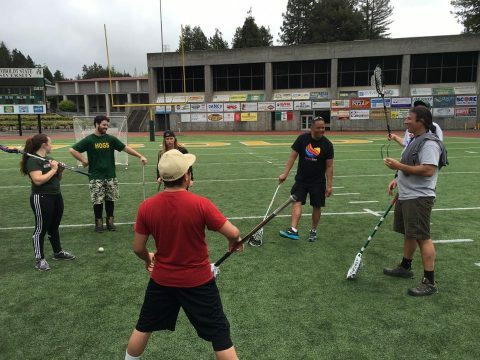 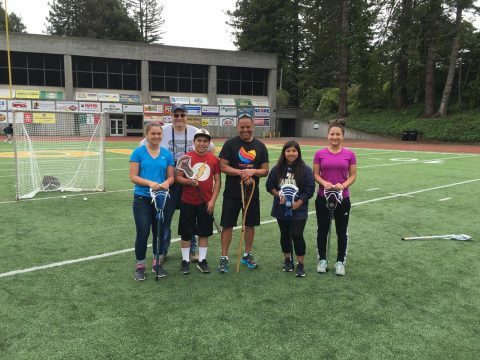 The Humboldt lacrosse team received a grant to bring out the Iroquois Lacrosse Program again, allowing two of their trainers to visit for three days. 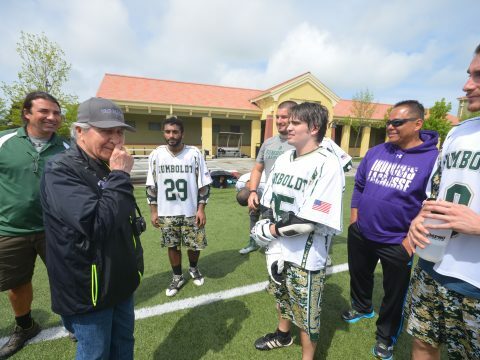 As luck would have it, the program’s trip coincided perfectly with a visit from lacrosse legend Onondaga Nation Chief Oren Lyons who was speaking at another event on campus the same weekend. 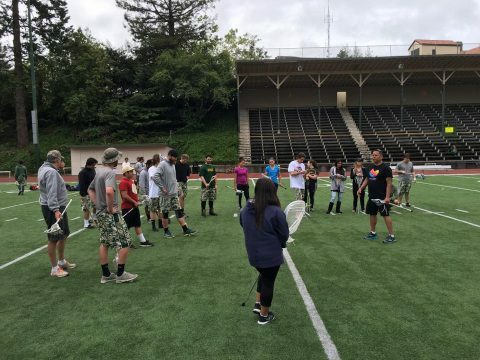 Following the Hogs’ season finale — a 10-8 win over the University of Pacific — Chief Lyon, Chief Jake Edwards and Kevin Sandy met with both programs and swapped stories during the post-game barbecue. 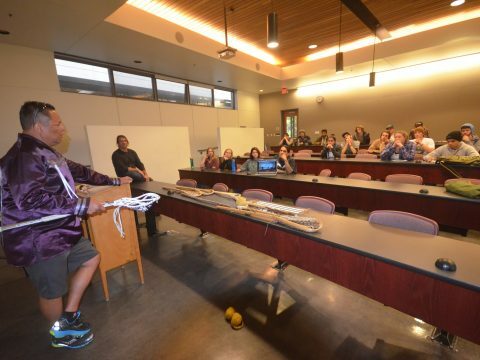 Later, the Iroquois Lacrosse Program held a three-hour youth lacrosse demonstration and training session. 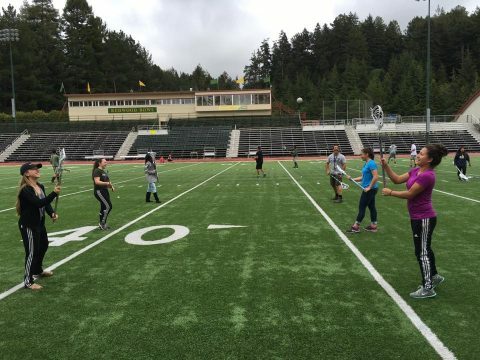 Hogs alum Ron Gastineau, who teaches at Del Norte High, brought down four players for the mini-camp. 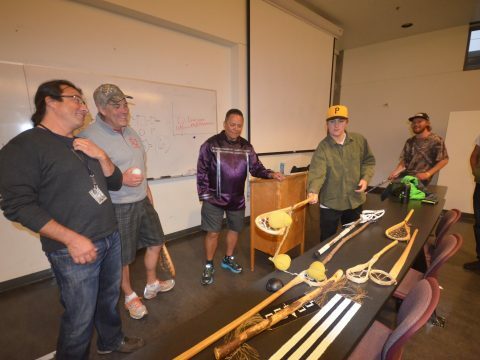 Thanks to: Davidone Margonelli for helping organize the second Iroquois Lacrosse Program clinic with lacrosse legends Onondaga Nation Chief Oren Lyons, Onondaga Chief Jake Edwards, ILF official Scott Burnham (Mohawk) and Iroquois Lacrosse Program Director Kevin Sandy.